NASA AMES: Grow Your Own Microbial Mats is rated 5.0 out of 5 by 1. 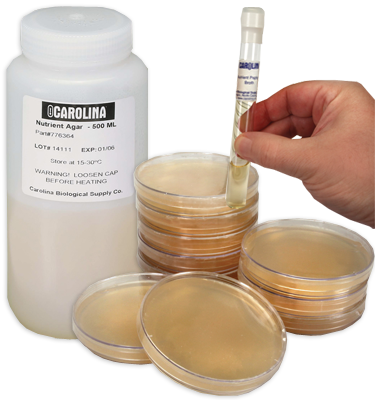 Looking for an activity that demonstrates the sulfur cycle and introduces your students to diverse types of prokaryotes? This kit allows students to observe layers of microbes by growing their own microbial mat. Looking for an activity that demonstrates the sulfur cycle and introduces your students to diverse types of prokaryotes? This kit allows students to observe layers of microbes by growing their own microbial mat. They learn about the biogeochemical sulfur cycle and draw connections between the sulfur cycle and microbial activity in the microbial mats. Students share their individual observations and discoveries with classmates, and gain experience in slide making and microscopy. For a classroom of 30 students working in groups of 3; conducted weekly for 4 weeks. Rated 5 out of 5 by LanceL from Incredible product I am a researcher, not a teacher, but I purchased this product in order to investigate its suitability for others to study microbes and it has turned into a fantastic source of interesting creatures for my own microscopy hobby. I started growing the cultures in January 2016 and since then have not had to do anything but add spring water on a regular basis, every other day or so, to replenish that which has evaporated. The richness and diversity of the cultures, and the variability between cultures, is fascinating and beyond interesting. This is a fantastic product for classrooms equipped with microscopes to watch these miniature ecosystems evolve over time. Highly recommended.